You’ve planned the drinks, the lighting and created your ultimate party playlist, but you need something awesome to blow away your guests and blast out your tunes. This Bluetooth music blaster is the answer to any event, providing fantastic sound quality in a portable package which delivers a party atmosphere wherever it goes! Complete with 50-watt power output and 7-inch tweeter and 12-inch woofer speakers, this sleek speaker is styled with LED screen, easy to use buttons and plenty of connection options. Simply connect to your mobile phone, DVD, VCD, CD, LD, TV, MP3 player, computer, radio, electric piano or any other device with an audio output to play your tunes. Ideal for parties both at home and away, use a Micro SD card, USB or Bluetooth connection all controlled via the control panel or remote control included, to slip, play pause and select the tracks of your choice. Use as a boom box, loud speaker or even a karaoke with the microphone included, all within a compact and portable package with rolling wheels, retractable handle and carry handle. 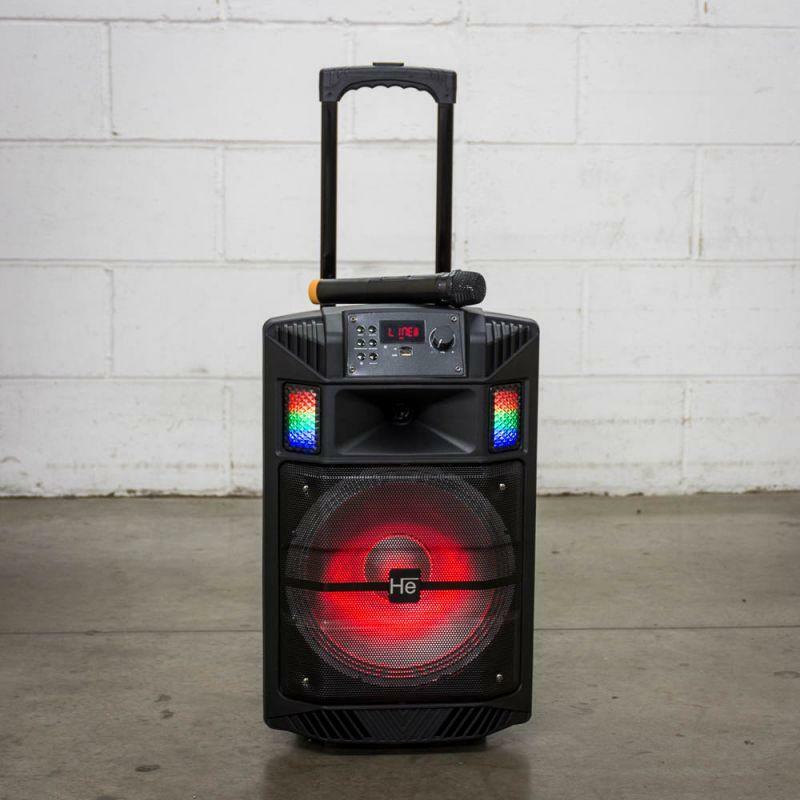 So whether you’ve got a barbecue planned, a big birthday celebration, planning a beach party or you want to be the next big thing on Britain’s Got Talent, the Hexagon Portable Disco is the perfect choice! If you like this product, please take a look at this one!